And the 12 Cocktails of Christmas continue! One of the best parts of this song is belting out “Five Golden Rings.” Someone wearing five golden rings on their fingers would be considered a “Golddigger” in my mind. Therefore, here is a feirce recipe for a Golddigger. 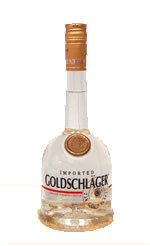 This drink contains Goldschlager - cinnamon schnapps that has little gold flakes floating in the bottom. I must warn you – this one sounds disgusting. Four calling birdsI am not really a fan or birds. Pigeons to be exact. I think they are gross and dirty. So when researching this category, I stumbled upon “The Dirty Bird.” While this drink would probably make me puke, I would recommend it to those who like White Russians, because it’s basically the same thing! Pour the vodka and coffee liqueur in an old-fashioned glass filled with ice. Fill with milk or cream. Shake by placing a mixing tin over the glass and giving it one or two good shakes. Okay, I am not going to go into any cocktails that require eggs (nog is the exception). There are some real gross things out there from modern mixologists. I am not sure if you know this, but in some European countries, they actually call a bachelorette party a “hen night.” Therefore, let’s toast the Ménage à trois of hens with a French Martini that includes Champagne. Add chambord, pineapple juice and vodka to a flute glass, and then fill with Champagne. 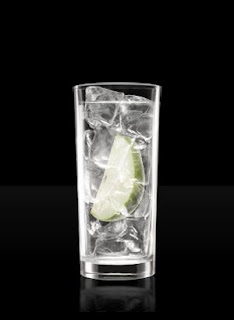 - Rim 4 tall Collins-type glasses with lime wedge and then dip in sugar. Fill glasses with ice cubes. In a large measuring cup combine tequila, orange liqueur, lime juice and pomegranate juice. Divide cocktail between the 4 glasses. Top with soda and garnish with lime wedges and pomegranate seeds, if desired. ABSOLUT Pears is a must here. When the flavor launched, there was a lot of buzz, but also some confusion. Bartenders and at home entertainers were having a rough time figuring out what to mix it with. Here is simple recipe that I would totally garnish with a clean, wood branch. Fill a highball glass to the rim with ice cubes. Pour absolut vanilia and lemon-lime soda into a mixing glass. Fill the mixing glass with dry ice cubes and stir. Strain the drink into the highball glass. 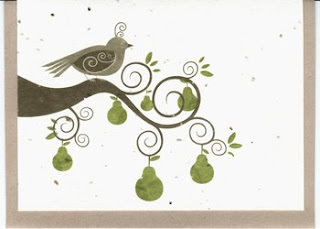 Garnish with a pear (slice).